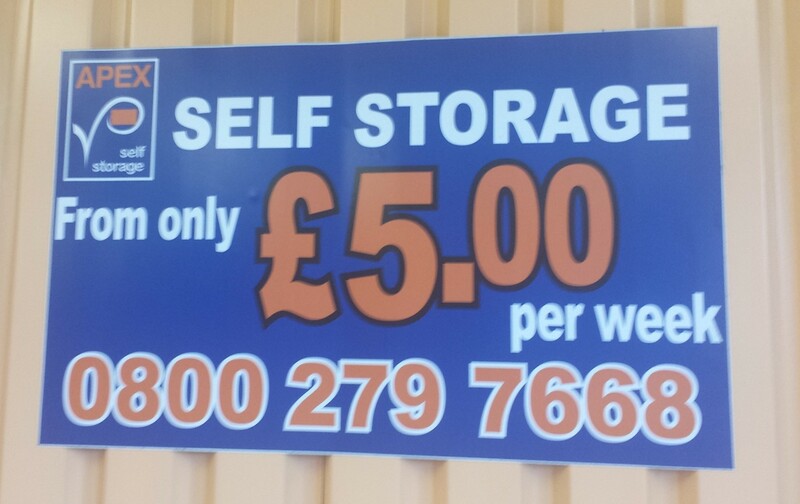 For little more than the prices of our heavily discounted range of standard signs, we can design and print the sign of your choice on plastic, vinyl or aluminium. 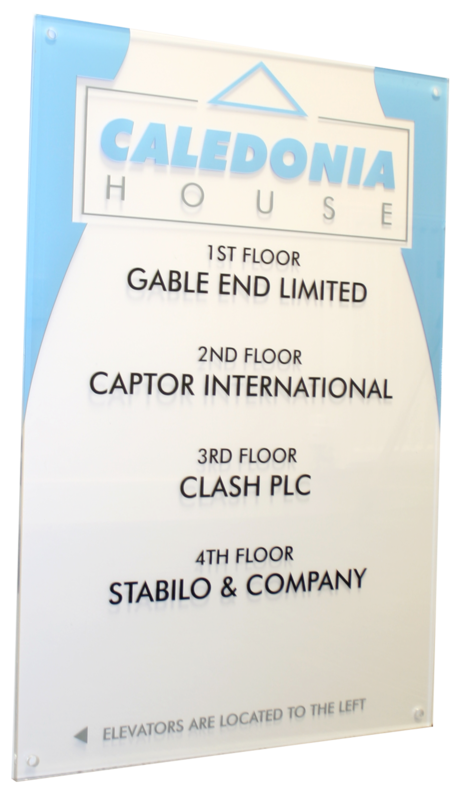 We can also produce signs in aluminium for sign post and fence mounting. On average these will only take 1-2 days to print and dispatch. 3. See discounted prices and input the quantity you require. Whilst we hold a stock of something over 2,000 different safety, information and road signs, we recognise that on occasion our customers may need something that is specific to their building or individual circumstances. This section of the SSP Print Factory website allows you to do just this. To order simply select the style of sign you prefer. 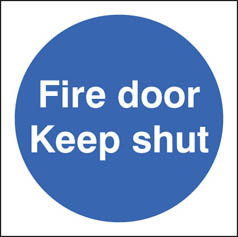 Remember the hard wearing aluminium signs that are suitable for outside use have been separated out on the right hand side of the screen. When you get to the second step, type in the text you wish to appear on your sign. You will also be asked to select whether your sign is a portrait (upright) or a landscape orientation (wider than it is high). 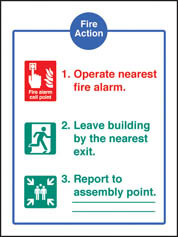 If it is a safety sign that you are designing, please can you also select the symbol you wish to show. next screen and hit sign off again. 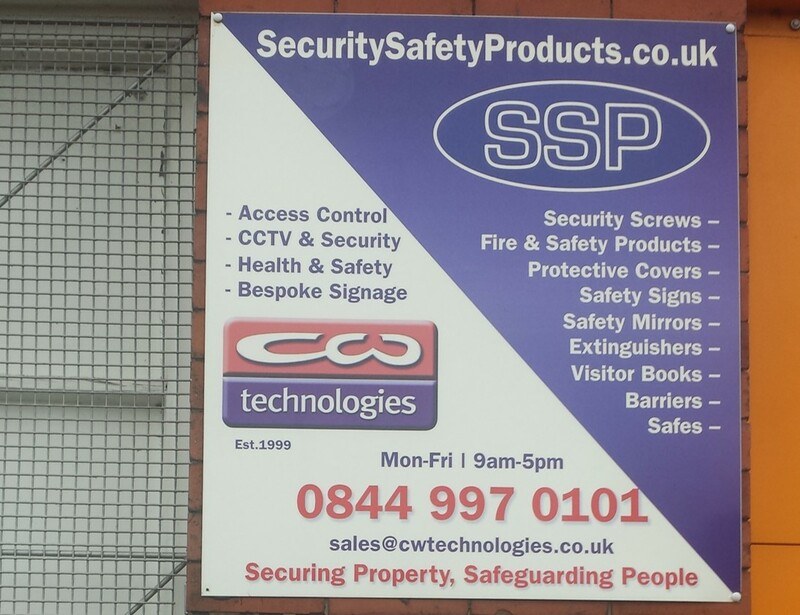 To give you some reassurance that we know what we are doing, you should be aware that SSP are responsible for dispatching well over 10,000 safety, road and information sign every year. This is what we do. If the signs were not made using the best possible materials and delivered in a timely fashion we simply would not still be in business offering this service. Although it is a horribly boastful and very un-British thing to say, the truth is we are good at what we do. In most cases custom made sign only take 1-2 days to print and dispatch. 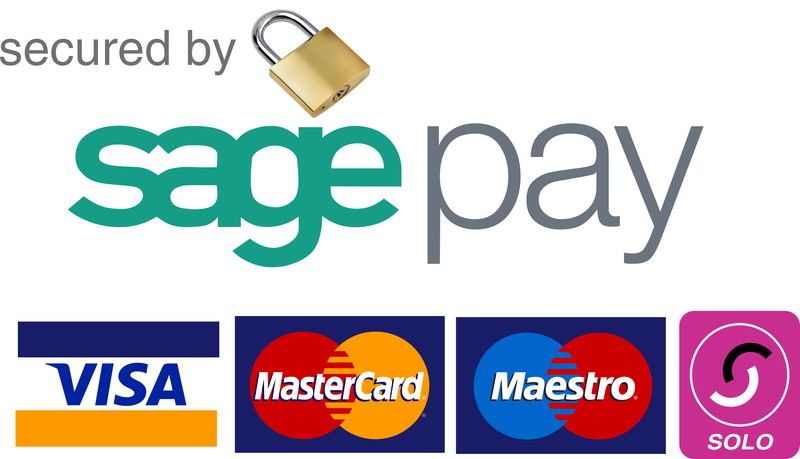 If you have any queries, please feel free to ring us on 0844 997 0101 (local rate call). Do you produce multi-lingual custom made signs? I have blind/disabled/sight impaired employees. Can your bespoke signs be printed with raised tactile images and Braille?? Yes, this is no issue at all. To produce these we use the best colour contrast for people that are partially sighted – white on a dark blue background. The image or text is raised by around 5mm with curved edges so it can be easily outlined by a finger. Finally, we use a computer programme that produces English Braille to correspond with the image or raised text above. 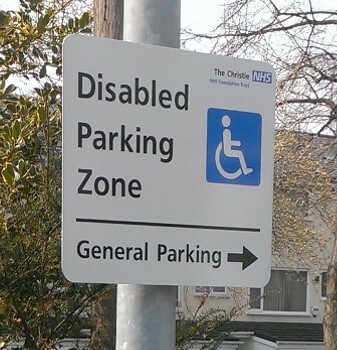 Consistent with the Disability Discrimination Act and recognised guidelines the Braille is positioned in the bottom left hand corner and prefixed with a locator. What if I do not know if a sign is a warning, mandatory or prohibition sign? 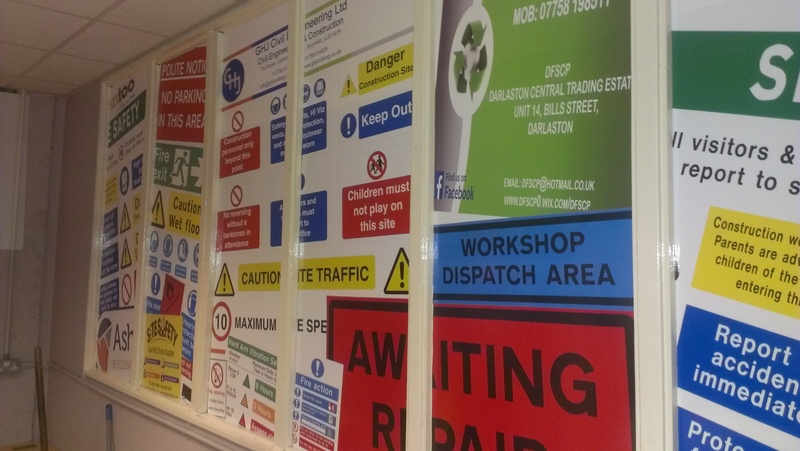 For a number of years, before becoming a Director at SSP Print factory, our commercial director trained his client base on safety signs. As a result all existing and new members of staff receive that same training course. 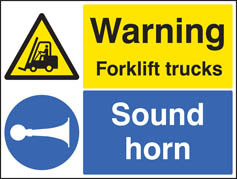 In effect this means that no one in SSP Print Factory will produce a safety sign that contradicts BS 5499, EN7010 or the Health and Safety (Safety Signs and Signals) Regulations 1996. 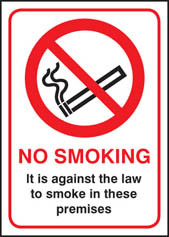 If our customer orders a prohibition sign that has an instruction that is clearly mandatory, we will produce the correct artwork and ask him or her to approve it. Of course, if the customer wants to go against the previously mentioned guideline we will produce the sign or signs to his or her specifications. After all, they are the customer! What are the lead times on your bespoke signs? During normal working hours (9am – 5pm, Monday to Friday) it usually take us up to 4 hours to produce and email over your sign artwork proof. 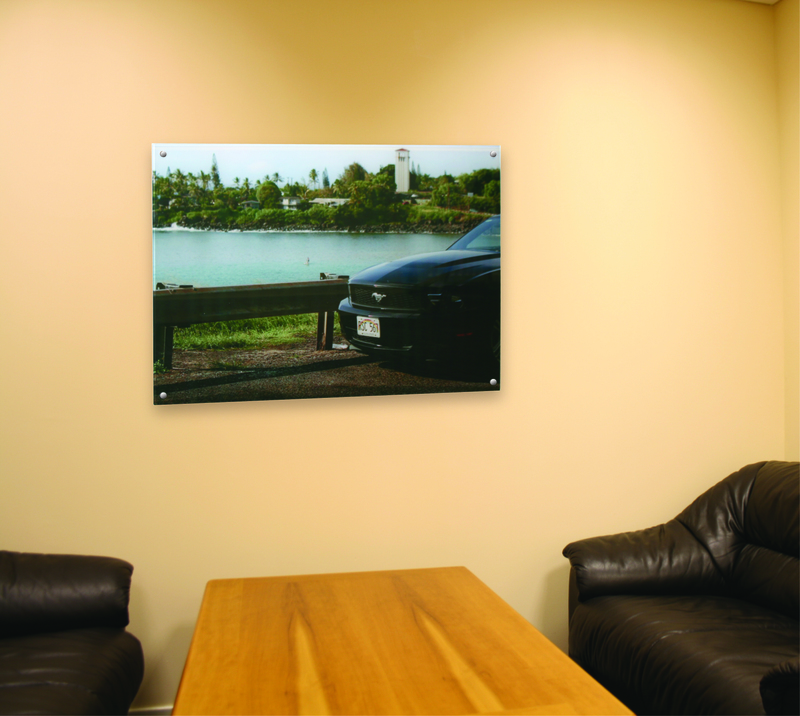 Once you have approved the artwork, it will take between 1 and 2 days to print and dispatch your sign. Would you be able to send me an email with the artwork attached? Any artwork that we produce for a customer’s order is emailed to them first for them to approve before we go to print anything. This is standard procedure. In truth without your written approval on any sign artwork, we will not print it at all. 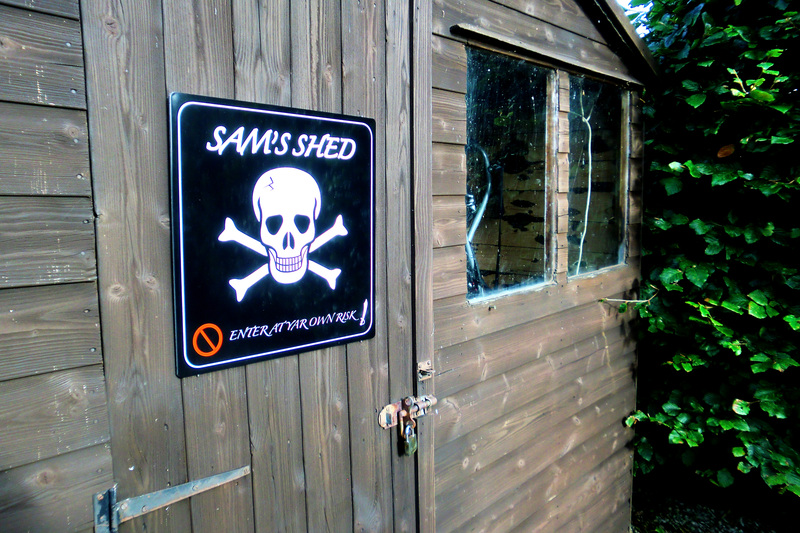 I’m looking for a bespoke sign in a hurry – can you help? To a certain extent. If you order an uncomplicated bespoke road or safety sign before midday (around 12-1pm) we may well be able to dispatch it the same day. We should say this is not a cast-iron guarantee, but we are as keen as anyone to give the best customer service. If time is of the essence, we will do our best to live up to your expectations. The one thing we would ask you to do it ensure that you are near a computer/tablet/phone to approve the artwork as soon as we email it over. My sign is for use outside, which material is best? Whilst self-adhesive vinyl and plastic can and are used outside on occasion, if you want a sign that will withstand the elements, then we would strongly recommend aluminium. This is the same material we use to make our CE marked road signs. This is durable and incredibly hard wearing. How do I fix a sign to a sign post? Can I retro fit channelling on to the rear of my sign? Yes. It is not the best method but SSP Print Factory offers strips of channelling with an adhesive backing. To affix these to your metal sign, simply peel off the backing and press into position. Ideally you should leave this to cure / bond for up to 24 hours. 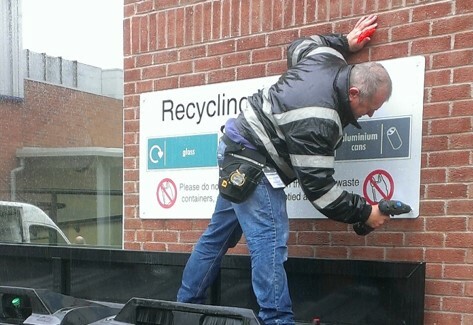 Once you have done this you should then be able to affix your sign to a post using either anti-rotational clips or our easy fixing banding kit. Can I fix a sign to a square/octagonal/large post? There are two ways of doing this. Either ring us and ask us if we can source the exact sized anti- rotational clips or buy our easy-fixing banding solution. In latter cases the easy fix banding is the best, most versatile solution. I am looking to add my logo. Is this possible? Yes, no problem. The best way is to send us your logo and we will set the artwork. In truth, more than anything, SSP print Factory is a marketing company. 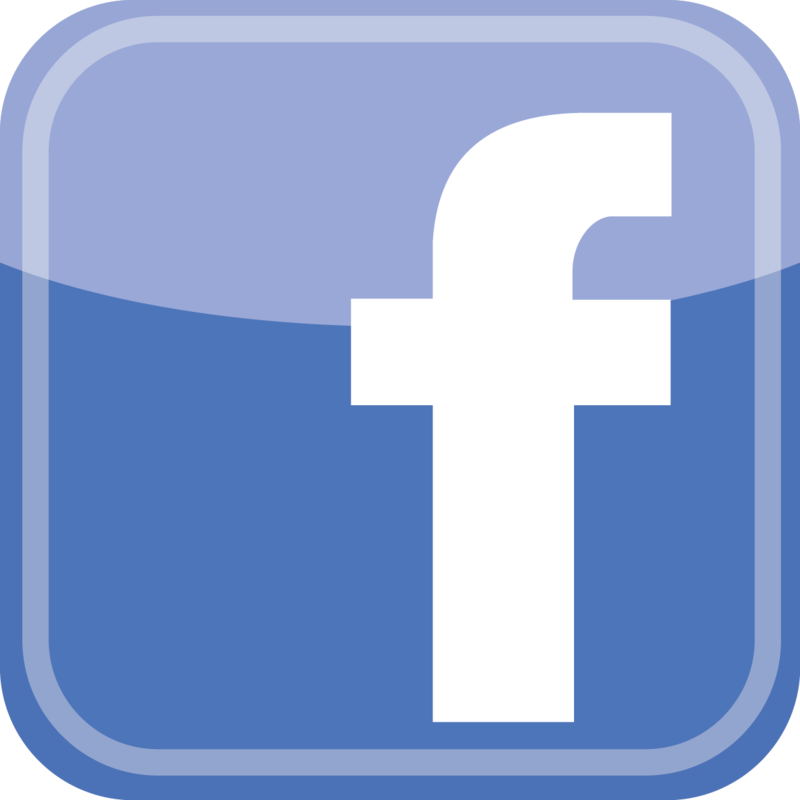 We understand logos and how important working within our customer’s own brand guidelines is. For this reason, we are well used to setting artwork and then reworking it three or four times, making sure our customers are completely happy with the end product. 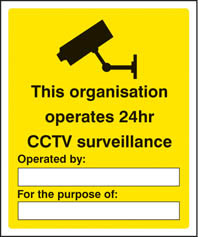 Can you create HTM/ISO 7010/BS5499/ETC compliant custom signs? I have a problem on my site but cannot work out the correct wording to address this with a sign. Can you help? Whilst none of the staff at SSP Print Factory has a degree in sign writing we have been producing safety and road sign for many, many years. 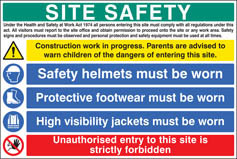 We are well used to constructing clear, concise and pertinent safety messages. If, like you, we are struggling to come up with the perfect wording, we will give you two or three options to consider. 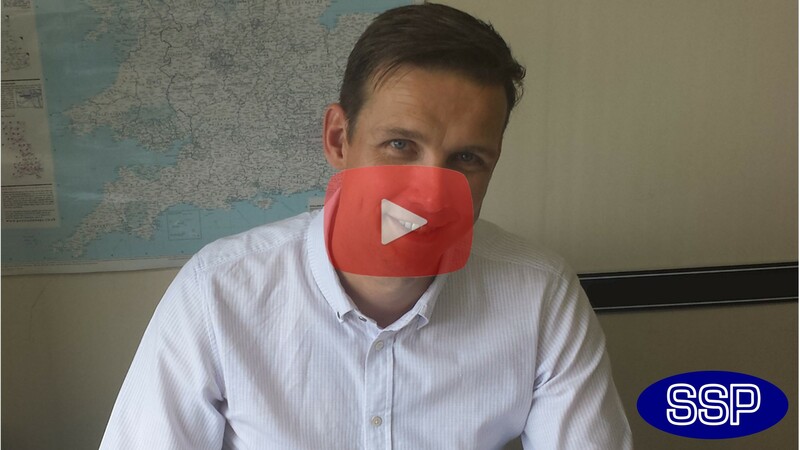 This whole approach embodies SSP’s whole philosophy to working with our customers; we are not just as supplier – we are your partner, working with you to achieve your own end goals. I’m looking to order a large quantity of bespoke signs. Will this bring the cost down? Very much so. Apart for the large metal signs we produce, the biggest cost in producing custom made signs is the set up costs – this includes everything from our designer’s time to cutting the material to size, to setting up the digital printer and cutting the graphics. Once everything is set up, printing the sign is easy. As such, if you want a quantity of the same sign we can bring the unit cost down to reflect the economies of scale we have in producing many signs with the same message on them. If I order a square or rectangular sign to go on a post, does it cost more to produce it with curved corners? No. Not at all. In fact rounded corners are our default position on bespoke signs. This is for health and safety reasons. We recognise that a large, immovable piece of aluminium suspended in mid-air may present a danger to passers-by. 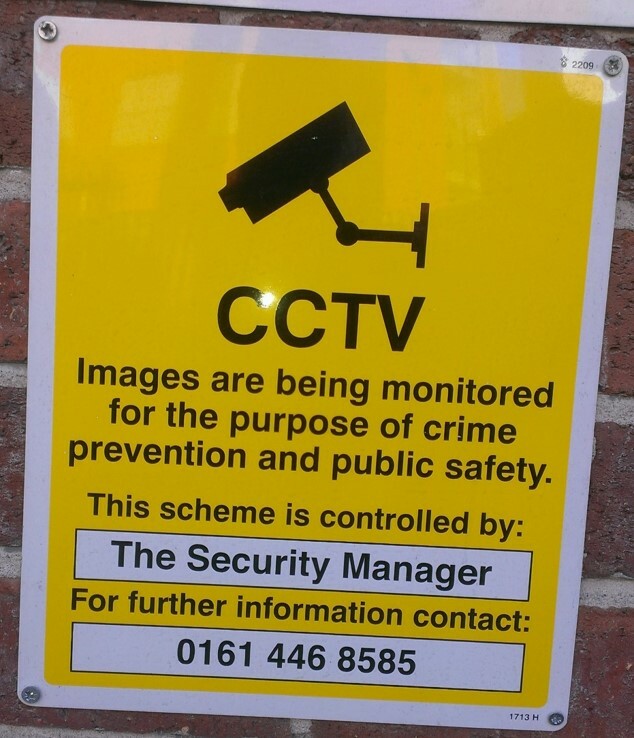 Whilst where the sign is positioned is the responsibility of our client we feel that we should minimise the potential for harm if a member of the public walks into one of our signs. This can be done by rounding off the corners. However as already stated, care and thought should be given to how high the sign is above the ground. How high should my sign be positioned off ground level? Having installed a large number of road signs in and around the Manchester area we have developed our own approach to this. 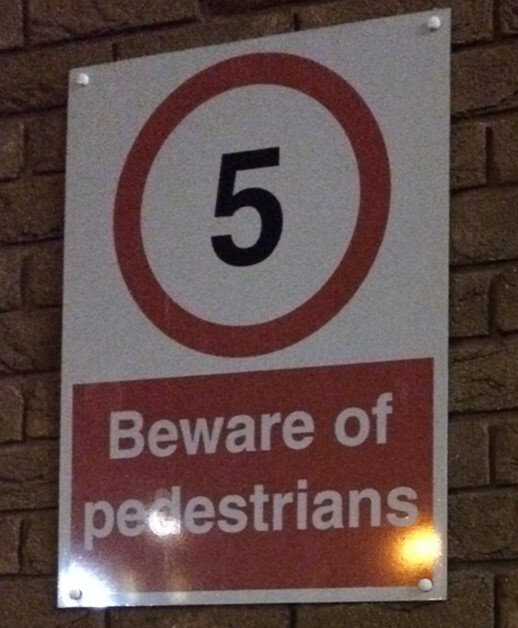 In essence this seems to be saying that any sign that is positioned at the anything like head height should actually be 6 feet 9 inches above ground level. Remember this is the bottom of the sign. As far less than 1% of the population are 6’9” or over, we completely agree with this approach and would recommend it to all our customers as a rule of thumb. Alternatively, we believe the sign should be set at adult chest height, well away from the main footpath, walkway, street or highway. Can I install plastic outside? Yes you can. Strangely we make a number of car park disclaimers in plastic. However, we often wish our customer would think about how long their signs will be showing for. If you expect the sign to be up for 3 years or more, then hard-wearing aluminium would be a far better material for your application. Can you put an anti-graffiti laminate on my signs? Yes. If the sign is for outside use, and may be subject to vandalism and graffiti, we are more than happy to affix a laminate for a few extra pounds. Please ring us for more information and pricing. What does anti-graffiti laminate actually do? It has two functions. The first is that when it is affixed to a sign fascia, spray paint does not stick to it very well in the first instance. Secondly, it is far easier to clean off any marks left by solvents and paints. In short, this clear film cover will protect your signs from being permanently marked or damaged by vandals. I know you are a serious sign company but will you print funny signs? Of course. It would be a shame not to have a little fun amongst all these safety messages we produce on a daily basis! In the past we have printed rattlesnake signs, 30 and 40 mph birthday signs with funny messages on them and a strange hydrant sign for someone’s wedding. We even did a sign saying ‘Do not punch the llamas’! 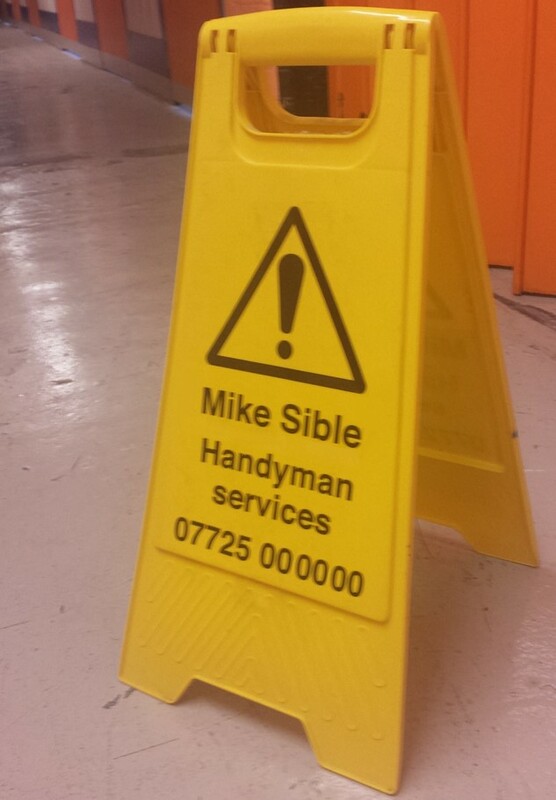 In short, we are happy to produce any sign to any specification you require, no matter how obscure!! What’s the cost of postage to the Highland and Islands of Scotland? As much as we dislike it, sending a parcel to the Highlands and Islands of Scotland costs the business more than anywhere else in mainland Britain. As we do not actually make money on carriage, I’m afraid this increased cost is passed on to the customer. This is usually £16.65+VAT. Yes we do. However, very much like the Highlands and islands of Scotland, there is an increased cost to us that is passed on. Again this is invariably £16.65+VAT. Do you ship signs abroad? Yes. On occasion a little reluctantly but yes we will in most cases. In fact the rattlesnakes sign mentioned above was for a Belgian customer who wanted this sign for his bar so he could reminisce with customers about his trip to Argentina!